According to a recent report from the European Commission Joint Research Centre** - whilst some 12% of Europeans have tattoos, little is known about the long term effects of the chemicals in the inks. Commonly tattoo inks contain metallic impurities that can result in adverse skin reactions, including infections and allergies, right after tattooing or even years later. In the application study the Field Flow Fractionation (FFF) technique was used to reduce the complexity of tattoo inks containing several different toxic metals. Using a Postnova AF2000 FFF system the researchers sorted the tattoo ink constituents by particle size using the interplay between crossflow field separation force and diffusion. Then using online light scattering and ICP/MS detectors, coupled to the FFF system, they were able to determine the particle size and elemental composition of individual components in the ink much more accurately than had been previously possible with non-separated tattoo ink samples. The researchers found titanium dioxide, copper and aluminium oxide in nanoparticles in both solid and dissolved form in several of the tattoo inks under study. 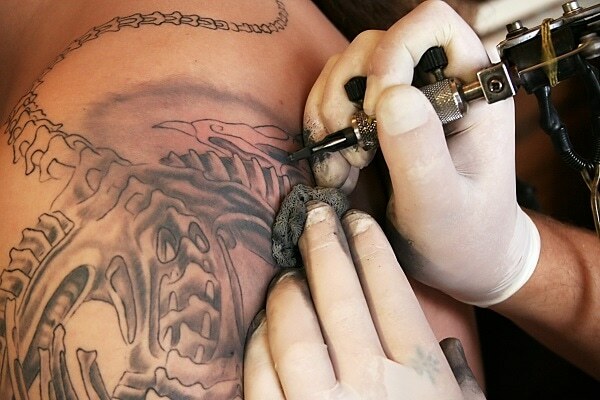 The investigated tattoo inks were also shown to contain chromium and nickel, metals known to cause bad skin reactions and cutaneous allergies post tattooing. This study demonstrates the excellent suitability of the hyphenation of Field Flow Fractionation with light scattering (MALS) and ICP-MS for the comprehensive characterization of four different tattoo inks. Besides particle size distributions obtained from MALS data evaluation, ICP-MS additionally allows statements on the elemental distributions of various metals as a function of the respective particle sizes. This provides a valuable insight into the composition of tattoo inks, thereby facilitating the reliable identification and quantification of possibly allergenic ingredients.